We create inventive campaigns, mobile apps, websites, videos and more. Combining your brand story with digital engagement, creativity and improvisation while making deeper connections with your audience. Porsche needed brand Sizzle Campaign for the North America Premiere of the Spyder 918. Exclusive footage with Jay Leno, Arnold Schwarzenegger, Detlev von Platen, Spyder designers and engineers. To Drive Page 1 Google Search Exposure for extremely competitive keywords, this leader in prepaid mobile phones/plans needed exact Organic SEO campaign synchronized with social media, online ad channels which resulted in over 300% increased conversions. Robust eCommerce, automated ordering fulfillment, inventory management, custom social platform with contest integrated into Facebook to serve mobile munching customers for this emerging brand. Nokia: TRON - Official Nokia sponsorship video presented at the World Premiere of TRON Legacy movie. Exclusives with Jeff Bridges, Garrett Hedlund, and Olivia Wilde. Test Drive declared. High speed Brand experience for the World Roadshow event. Enthusiasts experience Porsche's race-bred capabilities, speed, and energy with a multi-camera, HD all model racing experience. We work with brands for website design, mobile applications, mobile games, marketing campaigns and social media campaigns to uncover the reasons why a consumer is within reach and how to interact with them more effectively while examining the data and path length to learn the number of interactions before a conversion or sale. 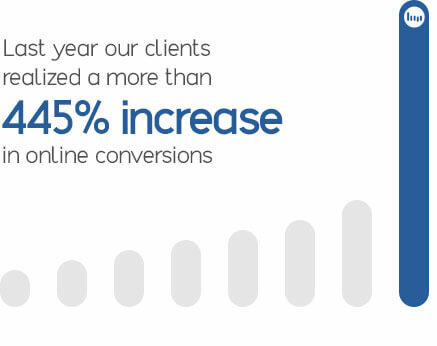 This allows our clients to convert at a higher rate and allow us not to miss important insights about how to reach your most valuable customers. We utilize robust analytics for your website, mobile application, advertising campaigns, game apps, rich media, CPC, eCommerce store, social or any other web campaign. Broadwave is an interactive brand experience agency focused on website, application designing and developing engaging brand experiences for our clients with offices in Los Angeles and Calgary. Web Design Services, Mobile App Services, Website Development Services, Social Media Campaigns or Multiple channel Campaign Management is what we do. Broadwave consistently pushes the boundaries of technology and interaction while creating an environment for creativity, improvisation and data evaluation. Broadwave challenges the constraints of the traditional digital, web design, mobile app, and advertising mindset. We make deeper connections with customers and create experiences that leave lasting impressions in the ideals and core values of your audience. Converting consumers into Brand advocates. Brand experience for today’s web needs to be synchronized with all initiatives such as mobile, offline, social, content, search, games, mobile apps, website UI/UX, and any additional advertising channels. We realize all Brands need to be seen, heard and loved. Our web design, mobile application, advertising campaign and social media process and systems of engagement will fuel your profitable business growth and innovation. By penetrating your audience’s communities, we learn how to behave like they do. We learn their language, how to interact with them, their deepest needs and how we can fulfill these needs. We are able to anticipate your audience’s needs before they know they have them. Our primary objective is to understand your brand’s goals and that of your competitors’ for mobile apps, website design, social media, rich media, advertising and overall marketing. During the discovery phase, our team performs the following tasks: strategy analysis, concept development, database needs analysis, competitive analysis, flow-charting / information architecture, and project scheduling and technology needs assessment. Our team of web designers, thinkers, strategists, writers, marketers and techies realize that web design, mobile application development, social media campaign or any advertising/marketing campaign needs a lasting conversation and communication style that leads to sales, customer engagements, and higher conversions. We understand consumer needs and provide areas of expertise in: social media, marketing, web design and development, mobile app development, systems analysis and design, responsive web design, interface design, rapid application development, mobile application development, infrastructure analysis and maintenance and website/application implementation rollout and support. We also invest in smart technology, products, and quality services that create revenue streams and value-added capabilities. We are a full service advertising agency that delivers high-end website design, mobile app development, rich media, CRM, advertising campaigns and social media campaigns with breakthrough messaging. Above all, we deliver high level thinking, strategy and innovative ideas that you expect. Delivering the creative solutions you need — when you need them. Strategy and collaboration is part of our process to produce original content for our clients while transcending traditional storytelling with digital technology to create meaningful impressions in people’s lives. Broadwave Studios has offices located in Calgary, Canada and Manhattan Beach, California; but we service clients from all over North America including San Diego, Orange County and Southbay. We are a professional full service Interactive Web Design Mobile App Development, Social and Marketing Campaign Agency with specialties in mobile app development. Check out our Complete list of Services. Our company specializes in Mobile App Design and Development, Mobile Websites, ECommerce Websites, Social Media Marketing Campaigns, Organic SEO, and Traditional and Interactive Marketing Campaigns. Broadwave’s Web/Mobile/Apps Team delivers a simplistic application interface design while encompassing our research of your audience that translates into an engaging, uncomplicated user experience. Your app will become seamlessly integrated into your customer’s lives while they utilize the app to solve a critical need they never knew they had. The real impact of mobile websites and apps will not come from stand-alone apps or by using mobile as a way to access your website. To compete to win, you need web/mobile apps that are connected to your business architecture and IT infrastructure. Apps that unleash the reach of mobile—more than seven billion devices that are always on, always connected—and tap into mobile’s singular capabilities. Broadwave’s solutions are enterprise class. Our web apps and mobile apps are designed and built to be reliable, maintainable, securable, scalable customized to fully drive your business and project initiatives. We aren’t hitched to any platform. Meaning, we are flexible and work with most platforms and devices if you prefer us to. We develop apps for Android, IOS, in HTML5, on tablets, iPads and smartphones. We build mobile websites for all sizes of devices. Our Strategy and Creative team have endless ideas for Android, iOS, Games, Tablet and iPad Apps to boost your sales, engagement or tell a more profound story for your Brand. If you can dream it, We can make it – always an app for that! Broadwave Canada’s mobile app team has created, designed, developet, and launched mobile apps for top brands including WestJet, Alberta Health Region, EnMax, DC Comics, Warner Bros, Jayman Homes and love designing and developing Android and iOS apps that run on Android and iOS devices placing your company right under your target audience’s fingertips. We would be happy to show you around on iPad face to face so you can play with our games and apps first hand. Our US Mobile Application and Tablet Team has designed, coded and launched Mobile Apps such as Shazam Olympics, Nike+, and Animoto. At Broadwave we have an army of mobile app designers, game animators and programmers. We hire only the best technical web design and development staff including Software Engineers that understand business needs. We work together with our clients to uncover overall business goals and work flow for a successful website performance.